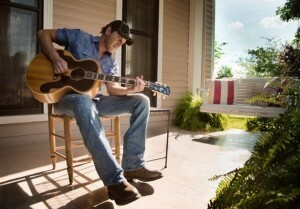 ” “Farmer’s Daughter” and “These are My People.” Atkins will take the stage at 5 p.m.
JEKYLL ISLAND, Ga. – (Monday, July 1, 2013) Enjoy a weekend of music, food and fun on Jekyll Island this August for Rodney Atkins’ America’s Heroes Celebration Weekend. Dedicated to the brave men and women who serve in our nation’s military, this weekend celebration will bring together families and friends for several exciting events including a spotlight for one of the biggest names in country music. Throughout the weekend of August 16 – 18, artists will perform at a variety of venues around the island, ending with a concert from country music all-star Rodney Atkins. On Sunday, August 18, Atkins will rock the stage of the Jekyll Island Convention Center to entertain crowds in a mega-salute to the men and women of our military. The east Tennessee-native will rock the Jekyll Island Convention Center stage with songs off his yet-to-be-released new album, in addition to hits such as “Take a Back Road,” “Farmer’s Daughter” and “These are My People.” Atkins will take the stage at 5 p.m., following opening act Rose Falcon, who will begin at 4 p.m.
Tickets will go on sale at 9 p.m. Monday, July 1. Advance tickets will be $39 for General Admission, $29 for Military Appreciation General Admission, $54 for Regular Reserved Seating, and $44 for Military Appreciation Reserved Seating. Only a limited amount of tickets will be sold. On Friday, August 16, the Jekyll Island Club Hotel and Morgan Center will host the Carolina Breakers for the Golden Isles Shag Club’s annual Shag-A-Ganza. You can catch them again on Saturday at the free Jekyll Island Beach Party alongside DJ Wayne Bennett while enjoying cool libations, food and games. Later that night, headliner Dean Torrence, of Jan & Dean Torrence, will light up the stage at the Jekyll Island Convention Center at 7 p.m. For more information and tickets, click here. Make sure to head to the beach at 9:30 p.m. to honor our American heroes with a fireworks display that is free and open to the public. The display will be held near Great Dune Park. The beach party will continue on Sunday from noon to 4 p.m., followed by the highlight of the weekend: a live show from Rodney Atkins dedicated to Active Duty and Veterans of all military branches.